vidIQ’s Facebook Syndication allows you to send your videos straight from YouTube to Facebook, the largest social media platform in the world. In one easy step. And while posting natively to Facebook is always the best practice, sometimes you just want your content to hit your Facebook News Feed as part of your overall distribution strategy. We show you how. 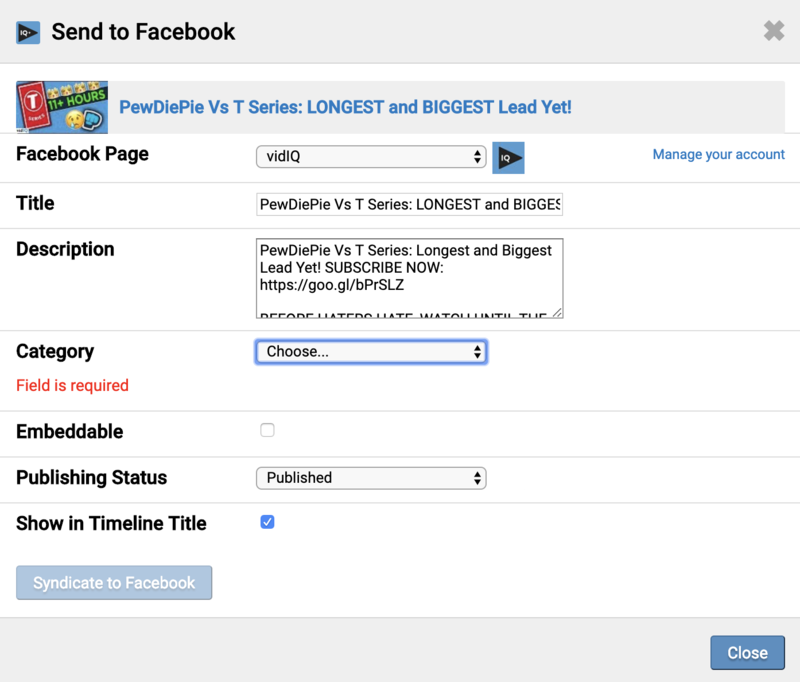 First off, you’ll need to connect your Facebook Page to your vidIQ account. Once that’s done, to syndicate your video to Facebook you’ll need to select the "send to Facebook" option from the video manager page.